Many women find me when their marriage is ending, because it’s such a difficult and at times, heart-wrenching experience because they need support to move through what’s kept them in pain and stuck in fear. And all of my clients are in their 40s and 50s and have been out of the dating scene for quite a while. For some women, when a marriage ends, the last thing they’re thinking about is dating or opening their heart to love again. For other women, they dive right into the deep-end of dating, only to find themselves drowning in online dating sites filling their inbox with winks and flirts and messages from strangers. But for many of these women there’s an underlying fear that shows up: What if I’m alone forever? You know you want honesty and respect, but you also want connection and passion. You want trust and intimacy. You want to be seen and valued, understood and heard. You want someone who celebrates you, but is also man enough to carry the load when you cannot. And you want to know his heart, his dreams, his desires. That relationship changed you. And without that experience, you wouldn’t be the woman you are today. 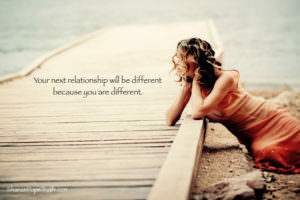 You will have well-intentioned girlfriends that will tell you that what you want doesn’t exist. You will meet your fair share of mediocre men that will make you question whether maybe being alone forever is a better option. 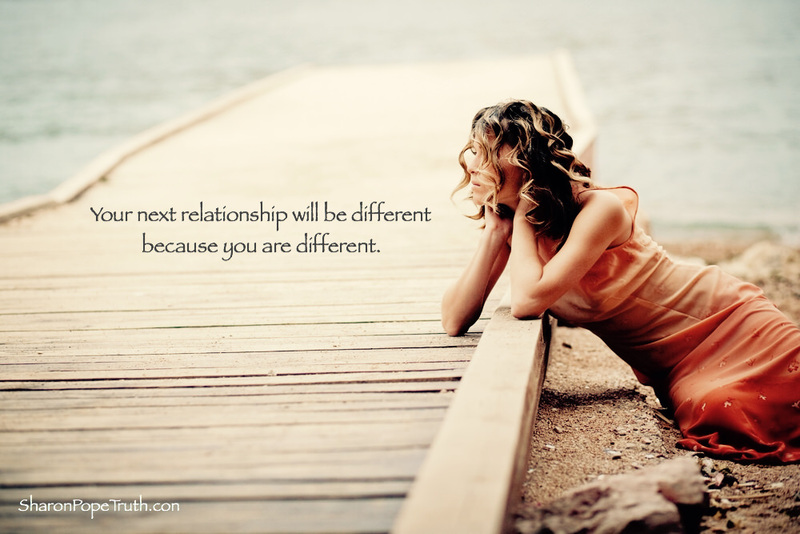 But here’s why your next experience in love will look and feel different than the last: Your next relationship will be different because you are different. What you believe is possible is different. Your awareness of who you are, what you offer and what you desire and deserve is different. And you’re no longer fine with fine. Your last experience changed you in some way and that change is everything.